As if this cliche introduction was not enough to hoot and warm your hearts, Nick’s witty reply, followed by a touching speech, will melt your heart and bring out happy tears. 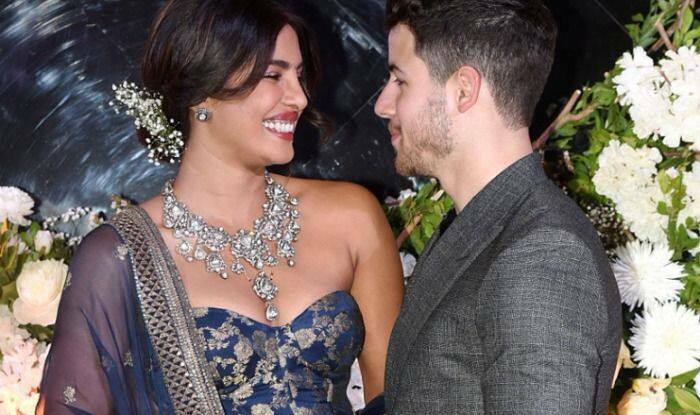 “This is my first show in India,” said Nick to acknowledge PeeCee’s gesture and in an attempt to make his emotional queen laugh. He obviously succeeded with his good humour, not just with her but also with the people present there. Thanking the guests for gracing their reception, Nick asserted that spending the night with family and friends of Priyanka, who had helped shape up who she has become, meant the world to him. We felt love coursing through every word in there and you’ll feel it too. Watch the video here. The newlyweds walked down the aisle on December 1, in a royal Christian wedding at the Umaid Bhavan Palace in Jodhpur where the next day they also tied the knot in a grand Hindu ceremony. The two-day spectacular festivities was followed by a lavish wedding reception in Delhi which was attended by the couple’s friends and family. Ever since then, their public appearances have been nothing short of dreamy as they appear hand-in-hand, looking into each other’s eyes, making us know what real love looks like and believe in marriages a little more.